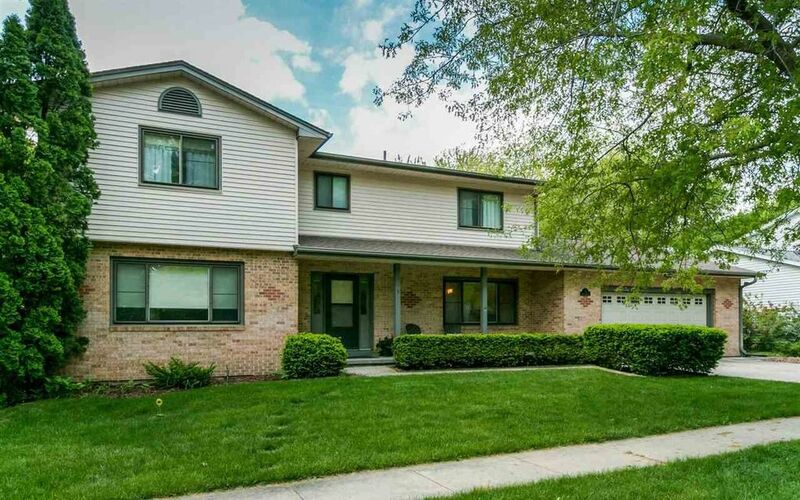 SPACIOUS WEST SIDE TWO STORY HOME offering excellent floor plan & practical design. Main floor includes eat-in kitchen open to family room with brick-faced wood burning fireplace and access to three seasons room; laundry/mudroom; formal dining and living rooms; bonus work area. 4 bedrooms in upper level including large master bedroom with en-suite full bath with skylight. Private backyard with mature trees & raised garden beds. LL with storage and potential for future expansion; 600 sq ft semi-finished.